American wholesale supplier of quality domestic and import items. 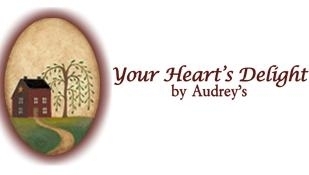 Audrey’s offers home décor and gifts ranging from everyday items to seasonal items that include spring/fall/winter/Christmas to garden décor to religious décor to all occasion floral. We also have a wide selection of appliquéd fabric home decor which is part of Audrey’s original creations. This includes coordinating table runners, placemats, napkins, chair pads, wall hangings, etc. Cash & Carry Wholesale warehouse and we ship across the USA and Canada. Located in Lebanon, PENNSYLVANIA. Visit us at www.yourheartsdelight.com .